"What would you do with $500 billion? The first challenge might be actually getting your head around quite how much money that is. If you like to travel in style you could buy 1,150 Airbus A380s, according to the published Airbus list price. If you just wanted to show off, you could cover a football field to a depth of 1.5 metres with cash. So, it’s a lot of money. It’s also the amount of revenue the world is losing as a result of tax avoidance, according to a new report from the United Nations World Institute for Development Economics Research (pdf). Corporate tax is a vital source of government revenue across the globe. It is especially vital in developing countries, argue the report’s authors. 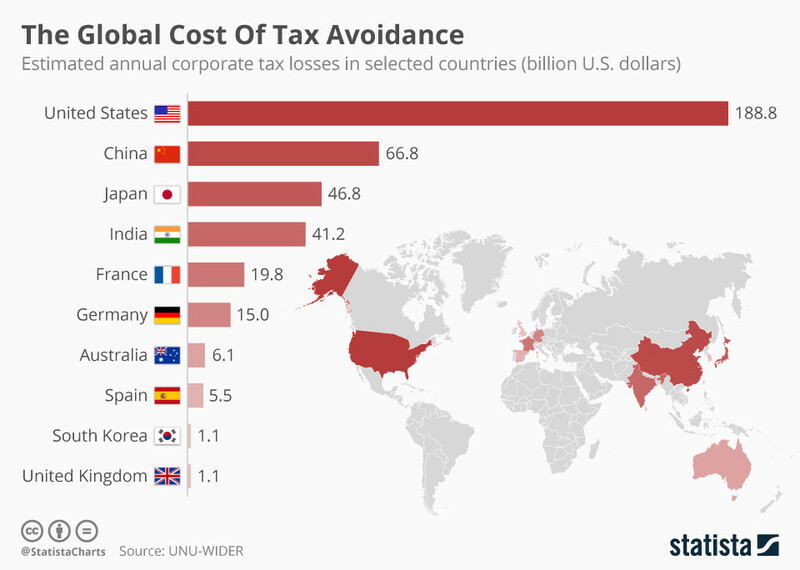 Their findings highlight the extent of global tax avoidance - as well as the countries facing the biggest shortfalls. The issue was also on the agenda at this year’s World Economic Forum Annual Meeting in Davos. The session ‘Taxation without Borders: A Fair Share from Multinationals’ looked at the action needed - particularly in the wake of the leak of the Panama Papers, which exposed the use of tax havens around the world."